Spray a cooking pan with olive oil spray, & sauté the ground beef on medium heat, seasoning the meat with 1 teaspoon garlic powder, a pinch of black pepper, & 4 tbsp organic tomato sauce, until the meat is thoroughly browned. Place the cooked meat aside. Peel the 3 medium zucchini evenly on 4 sides, creating thin, flat strips of zucchini, until the center & seeds are visible. Discard the center & seeds of the zucchini. Lightly spray the glassware dish with olive oil spray. Overlap the strips of zucchini, creating the first layer of the lasagna. Evenly spread 4 tbsp organic tomato sauce over the first layer of zucchini. Evenly spread a thin layer of shredded 5 cheese blend. Evenly spread the beef . Cover beef with another thin layer of shredded 5 cheese blend. Overlap the strips of zucchini, creating the second layer of the lasagna. Evenly spread 4 tbsp organic tomato sauce over the second layer of zucchini. Evenly spread 5 heaping tbsp of ricotta. Evenly sprinkle a 1/2 teaspoon garlic powder. 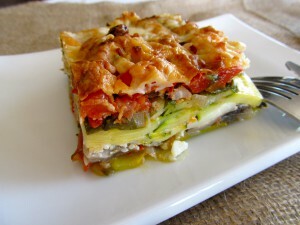 Overlap the strips of zucchini, creating the third layer of the lasagna. Cook for 30 minutes at 375 degrees. Drain any excess liquid from the zucchini, and serve. I have fond memories of my mother’s lasagna & my daughter’s Godfather’s mother’s lasagna. Both are exquisite delicacies that made dinners memorable! So, I set out to create a healthy lasagna that tastes delicious as well, and the outcome is this mouth-watering creation!!! Its aroma & flavor are Italian Food at it’s best! You will not miss pasta, once you’ve experienced this Remedy Recipes Zucchini Lasagna!!! This meal may be used as Meal 4 on the Remedy Recipes book format. Portions: Women, 1 (5 inch x 5 inch) piece/ Men, 2 (5 inch x 5 inch) pieces. John M Di Fazio II is a nutrition consultant, a personal trainer, and a massage therapist and has twenty years of experience working in the fitness industry. He was employed by Gold's Gym for thirteen years and in 2005 co-founded Remedy Fitness, a unique fitness establishment located in East Setauket, New York. While in the employ of Gold's Gym, he was recruited into Nutritionalysis, a nutrition company based in Venice Beach, California that specialized in individualized nutrition programs, and received his certification. Excelling in the field, his clientele grew by thousands. 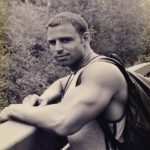 While establishing such a full clientele in nutrition and personal training, John also graduated from the State University of New York at Stony Brook with a bachelors degree in philosophy and also graduated from the New School for Holistic Health & Research on Long Island, New York with a degree and a New York State license for massage therapy.